The American Royal is a non-profit organization that was founded in Kansas City in 1899. The American Royal organization uses the funds it raises to provide opportunities for youth and adults around the country to compete in Livestock shows, ProRodeo, and Horse Shows. See more events here. The American Royal World Series of BBQ is actually a private BBQ competition (meaning you can’t eat the BBQ of the competitors) but through the Taste of KC Barbecue passport, the Prairie Fresh Marketplace, Cowtown Family Fun Fest and a variety of beer gardens, activities, and live music - the public is welcomed with open arms to join in on the fun and even enjoy some tasty bbq! I had the opportunity to attend the American Royal World Series of Barbecue on Friday, September 14th. 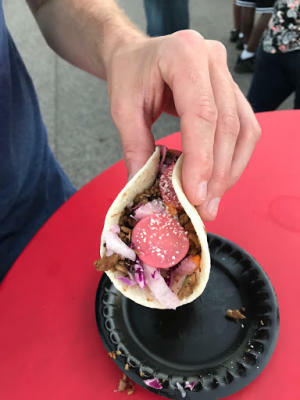 There was live music, bustling beer gardens, the Taste of KC BBQ Passport, and a vendor marketplace where you could buy more food, goods, and desserts. 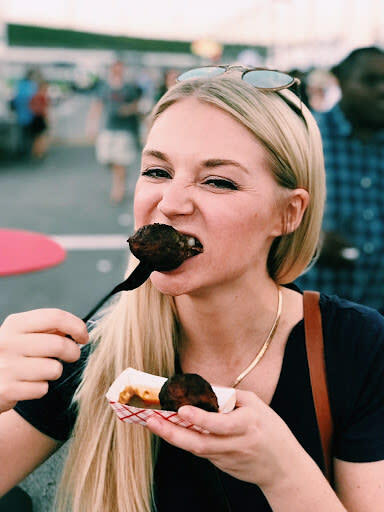 If you missed the American Royal this year but are planning to go in the future, here are my tips to make your experience at the American Royal World Series of BBQ a success! 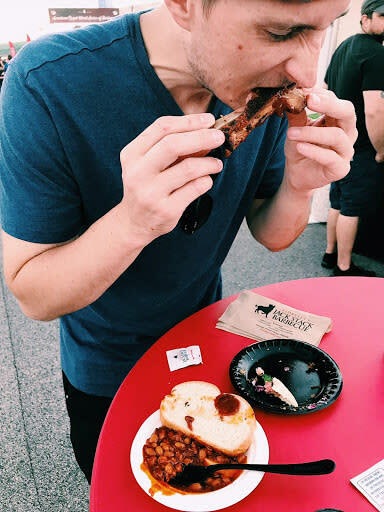 Buy your entry tickets and taste of KC bbq passport online before you get there to save a little money! Online entry tickets are $25 and $30 at the door. On Friday, gates open at 5pm to the public. I definitely recommend to get there early - traffic was crazy and parking is $10 in cash - so come prepared! Also,if you have a smartphone, turn your bluetooth on so it can mark the location of your car! 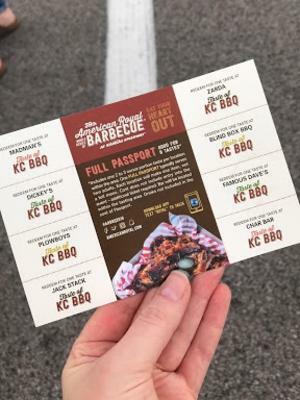 Definitely get the Taste of KC BBQ passport so you can enjoy some bbq. Matt and I each got a passport, but we probably would have been ok to share just one. There were eight participating vendors and we were STUFFED! (Which, hey! I’m not mad about it). The vendors included: Zarda BBQ, Jack Stack, Blind Box BBQ, Mad Man’s BBQ, Char Bar, Plowboys Barbeque, Famous Dave’s, and Dickey’s Barbeque Pit. Bring some extra money to purchase some fun souvenirs and treats. The Prairie Fresh Marketplace offered food for purchase like ice cream, bison burgers, cotton candy, and vegan barbeque options.Food vendors included: Nothing Bundt Cakes, Taste of Kansas City BBQ Truck, Kona Ice Truck, Dry Creek Buffalo Co. Chuck Wagon, The Waffler Food Truck, Heather’s Concessions, Boyer’s Meatballs, Greg-CO BBQ Truck, Slaters Pizza Wings N Things, Wild Bill’s Olde Fashioned Soda Station, and KC Smashers Food Truck. 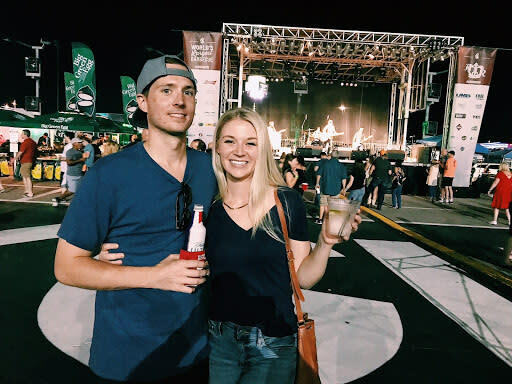 Enjoy the live music, have a cocktail, and walk around the bbq competition! Even though you can’t eat their food, it&apos;s fun to see who is competing and the BBQ team names. Come back Saturday for all the above PLUS Cowtown Family Fun Fest. On Saturday, gates open at 11am for the Cowtown Family Fun Fest that goes from 11am-3pm. This event includes: Live performances by Drum Safari, Magic Shows, Petting Zoo and Pony Rides, Air Brush Tattoos and Face Painting, Kids Mechanical Bull, Soccer activities by Sporting KC, Pop-a-Shot and Basketball activities provided by the College Basketball Experience, Cow Milking Station, Additional activities from partners including Bikers Against Child Abuse and more! 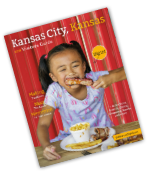 Don&apos;t miss out on all the exciting events Kansas City, KS has to offer! 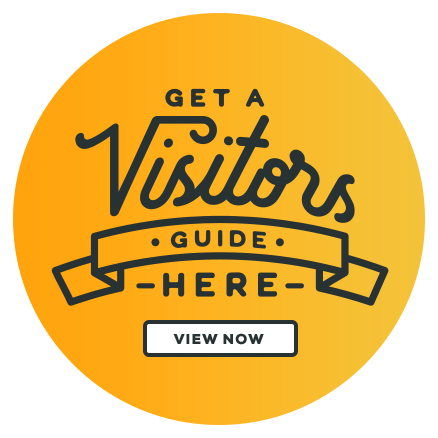 Sign up for our visitor e-newsletter today! View more photos from the 2018 American Royal World Series of Barbecue below.